What Does The Best Bond Cleaning In Greenslopes Cover? Finding and selecting reliable house cleaning in Greenslopes is not easy. The most common questions we get asked by people like yourself have been collated below to assist you in making a smart decision. 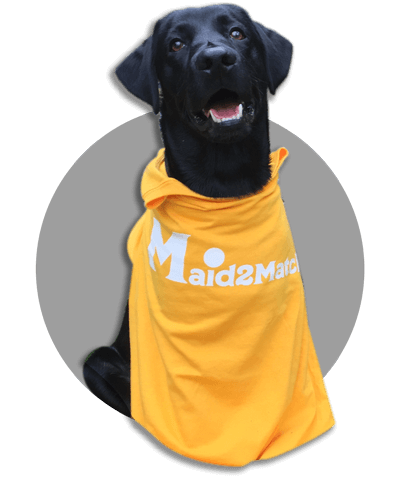 WHY ARE MAID2MATCH GREENSLOPES’ BEST AT VACATE CLEANING? The truth is great bond cleaners possess a different skill set than regular house cleaners and therefore requires specific experience, dedication, and a first-class cleaning checklist. At Maid2Match, we personally vet all our cleaners, after having them complete a three-part application form. We provide extensive support and have crafted the most effective bond cleaning checklist you’ll find. Let our experts take the stress out of your lease cleaning. Greenslopes is situated 3.1 kilometres south-east from Brisbane CBD and is a residential suburb of Brisbane. However, there are a few commercial and industrial areas as well here. The name comes from one of Frederick Wecker’s estates, who named it with its green pastures in mind. Nowadays, most houses of Greenslopes wear their pre-war construction with pride. The Brisbane City Council is proud to recognize this construction as a solid mark of the suburb’s identity and is careful when the owners want to demolish or renovate them. However, the streetscape is mottled with apartment buildings too. The landscape is varied, featuring mild hills to the east and south, which end up near Norman Creek’s floodplain. Logan Road, Chatsworth Road, Old Cleveland Road, the South-East Busway and Henzell Terrace are the main roads in Greenslopes, connecting it to other neighbouring suburbs. Among the most important tourist attractions, Stephens Mountain provides plenty of views for hikers. The historical landmarks which are well known are the Greenslopes Private Hospital that was originally intended for war veterans. The Greenslopes State School has an interesting architecture and a lovely history, while the Greenslopes Bowls Club can offer you a lot of fun activities and a few cold drinks.